The company will create more space within its various business parks. Upcoming development includes speculative, office, flex, industrial and retail space. Construction at 187 Harry S Truman Parkway in Annapolis. St. John Properties has started construction work on eight new buildings in Anne Arundel and Baltimore counties in Maryland. The projects total approximately 500,000 square feet of speculative office, flex, R&D and retail space, all designed to Class A standards. a four-story office building totaling approximately 100,000 square feet designed to Class A standards. 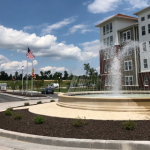 It will be adjacent to another project within the master-planned business community: The Berkleigh, a luxury apartment community slated for delivery this spring. The office building will seek LEED Gold certification upon completion. two separate office buildings, located at 10 and 12 Irondale St. The properties— comprising a combined 72,000 speculative square feet—are also slated for completion this spring and will also be situated next to a luxury community. The buildings will be designed to meet LEED Silver certification. 28,000 square feet of retail space, in two single-story buildings, with expected delivery this spring. a 130,000-square-foot, five-story office building at Annapolis Corporate Park, 187 Harry S. Truman Parkway. The building is set to receive LEED Gold certification after completion, slated for early 2019. 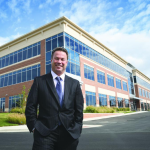 The corporate park has two more office buildings operated by St. John Properties, which total 123,848 square feet and are LEED Gold-certified. The location is just south of Route 50 and five miles from downtown Annapolis. 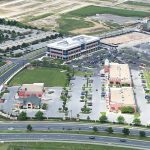 a single-story flex/R&D building totaling 34,500 square feet situated within BWI Technology Park II, a 44-acre site which comprises retail, industrial and office space. 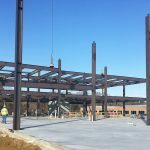 The upcoming addition is 100 percent preleased to TierPoint, an IT, cybersecurity and data center provider. The new building is slated for a late-2018 completion. approximately 120,000 square feet of new Class A office space at the company’s BWI Technology Park III, a 15-acre business community located at 1500 W. Nursery Road, in Linthicum Heights. The four-story building is slated for completion in late 2018, and will also aim for LEED Gold certification. BWI Technology Park III is situated about two miles from Baltimore/Washington International Airport. 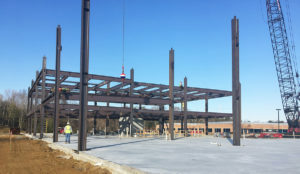 “Given the sustainable leasing activity that we continue to achieve throughout the Maryland region—coupled with our favorable long-term view of the local economy, job growth and expansion of businesses—we are proceeding with this speculative development program with complete confidence,” said Richard Williamson, senior vice president of leasing and marketing of St. John Properties, in a prepared statement.